A teenager was arrested after allegedly threatening a man with a knife in Bonnybridge. 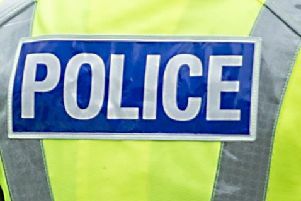 Police detained the 16-year-old in connection with an incident which took place near to the village’s Scotmid store, on High Street, on Tuesday night. The teen, who was with three other youths at the time, is said to have thrown an object at a car which had stopped to let the group cross the road. A 21-year-old passenger then got out of the vehicle to confront the teenager before the suspect allegedly brandished a knife and began shouting and swearing in the man’s direction. The teenager was traced by police shortly after the incident. A report has been submitted to the procurator fiscal.